General conference is a semiannual gathering of The Church of Jesus Christ of Latter-day Saints. During general conference weekend, Church members and others gather worldwide in a series of two-hour sessions to receive inspiration and instruction from Church leaders. Conference sessions are held the first weekends in April and October. 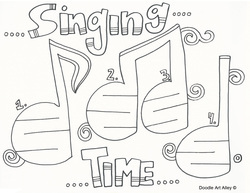 They are held Saturdays and Sundays at 10:00 a.m. and 2:00 p.m. mountain time. (Taken from LDS.org) Learn more about General Conference. 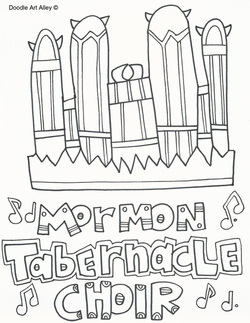 Enjoy some fun printables and coloring pages to accompany General Conference! 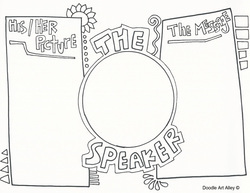 General Conference Word fill printable - Color in the words as you hear them during the Conference talks. 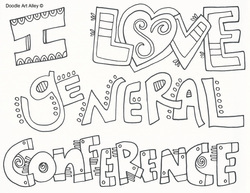 General Authorities Ties - Doodle in what your favorite speakers ties look like!